Little Village reporter Genevieve Heinrich recently caught up with K Lindsay Hunter, one of the “underground astronauts” who formed part of Lee Berger’s all-female expedition team to unearth the now famous Homo naledi remains from the Rising Star Caves in the Cradle of Human Kind World Heritage Site. Hunter reveals that she is coordinating a book about the experience and the work of an underground astronaut and will aim it at inspiring school-age children. Originally from Iowa, she has now relocated to Johannesburg where she will be working on her PhD at the University of the Witwatersrand, where Field Guide to the Cradle of Human Kind author Berger is also stationed. Can you tell me a little bit about your decision-making process when you first saw the call for scientists? How long did it take you to know that this gig was something you truly wanted? I saw the Facebook ad from Lee reposted on the AAPA (American Association of Physical Anthropologists) page in the wee hours of the morning on October 7, 2013, as I was pulling an all-nighter writing medical web content in a coffee house in Austin, TX. I re-shared the ad, tagging Lee, and immediately DM’ed it to my friend, Vance, who is a small and wiry skater that had just completed his PhD in paleoanthropology from Tulane. I had already left the program at UI and no longer thought of myself as being a part of the field. However, as a historian and avid adventure reader, Lee’s call was immediately evocative of the Shackleton Antarctic Expedition ad, which read: “MEN WANTED for hazardous journey, small wages, bitter cold, long months of complete darkness, constant danger, safe return doubtful, honor and recognition in case of success.” So, when a couple of days later, Lee thanked me for sharing in my comments, I took a chance and replied that I thought I could do it. He said that my reasoning sounded good and to go ahead and send my CV on. The rest, as they say, is history. Spelunking in a dark, labyrinthine cave is a tough ask at the best of times. Add fossil excavation through an 18-centimetre wide gap into the mix and you have a job that only a handful of people in the world can do. This all-women crack team of six ‘trowelblazers’ was assembled thanks to an extensive social media campaign. The combination of job requirements was unique: a master’s degree or higher in palaeontology, archeology or an associated field; caving experience; and the ability to fit through an 18-centimetre ‘squeeze’ in the cave in order to reach the Dinaledi Chamber. It just so happened that, out of more than 50 applicants, the people most qualified for the job were all young, slender women. British Airways’ inflight magazine High Life recently ran a feature on Cape Town’s beloved Table Mountain, asking seven Capetonians what the landmark means to them, accompanied by some fantastic photography by Michael Ellis. “The Mountain”, as it is affectionately known, is an ancient icon – as Hoerikwaggo, the Khoisan word meaning “mountain in the sea” – and one of the seven natural wonders of the world. 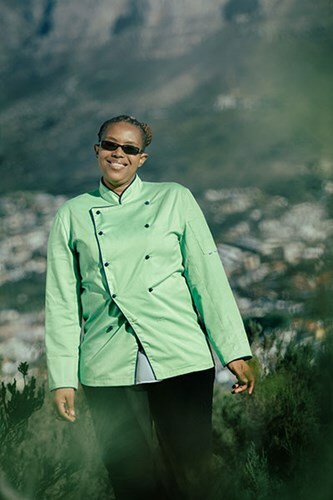 Octavia Tumeka Nkomombini, a baker who works at the lower Cableway station, supplying the café on top of the mountain and the kiosk, first visited the mountain as a baby with her father. Her next visit was 35 years later, for a job interview. ‘I don’t get used to the cable car trip; every time I go, it’s like, wow! I still want to walk up one day; that’s in my plans. It is a wonder, Table Mountain. Everyone who comes here wants to come back; people from all walks of life. And the mountain influences us: it gives you peace, it makes you feel close to nature. I brought a friend from Kimberley last year. We took the lift up to level five. And there was this tourist by the cable car, and she grabbed him to pose [for a picture]. I thought, “What if he has a wife or girlfriend?” But he seemed to enjoy it. Redi Tlhabi recently spoke to Tebogo Makhubela, the scientist who will hopefully eventually tell the world how old Homo naledi really is. 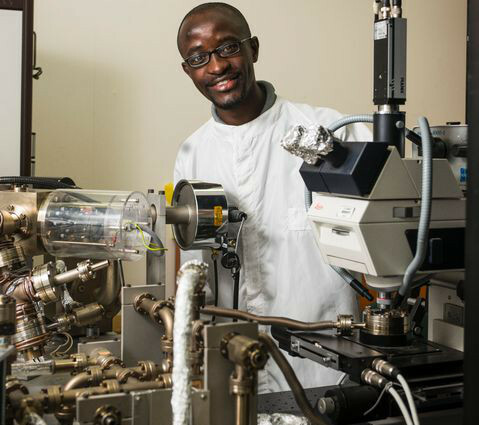 The Soweto-born scientist is currently working on his PhD in geochronology and landscape evolution at the University of Johannesburg. Makhubela explains that geochronology is the science of determining the ages of rocks, minerals and fossils. Makhubela, who became a member of Professor Lee Berger’s Rising Star team in 2014 when he was still doing his Master’s degree, says his interest in paleontology and geology was sparked in 2008 when Berger discovered Australopithecus sediba at the Malapa Caves. So, how will he date these bones? Makhubela explains that the process starts with looking at the material that is attached to the bones. Second, you look at the soil and rocks covering the fossils which can be dated using different techniques. “We are not dating the age of the fossils themselves but other events which took place in the area,” he explains. Earlier this year, Business Day conducted an in-depth interview with Berger on his life-long dedication to palaeontology, the incredible current period of exploration and the exhilarating feeling when his phone rings and the voice on the other side says, “we’ve found something”. He also speaks about the criticism that’s accompanied finding Homo naledi. THE lens of the world’s palaeontological community is focused on the finds coming out of this corner of SA. Wits, the government and the tourism industry couldn’t be happier. Berger’s luck is now as fabled as Louis Leakey’s. But will his peers draw the line at tourism? It seems Berger splits the world of palaeontology. Some find his methods, his media savvy and big claims sacrilegious. Others are swept along on the tide of his enthusiasm, buoyed by discoveries, passion and the generous sharing of his grant funding. “‘Leakey’s luck’ is an insult,” Berger says. It is the heartstopping moment, the lightning strikes, that get him out of bed in the morning. In October this year, Berger took to Facebook to set the record straight on a number of statements in the media and on social media about the conditions around finding Homo naledi. Berger weighs in on issues such as not putting preservatives on the bones during the process of excavation and the accusation that the six excavators were chosen because they are women. What does Homo naledi look like? Thomas Hartleb writes for News24 that Homo naledi is a mixture of ape and human and, according to Berger, “practically the best-known fossil member of our lineage”. For a detailed description of Homo naledi’s physical attributes, read two journal articles on Nature Communications entitled: “The hand of Homo naledi” and “The foot of Homo naledi”. Homo naledi’s hands and feet had features of both apes and modern humans, according to new research. Its wrist, thumb, and palm were similar to Neanderthals and modern humans. The fingers however were “long and remarkably curved” like those of existing apes, according to a paper titled The hand of Homo naledi, published in the journal Nature Communications on Monday. Towards the end of September, Berger gave his first public lecture since the discovery of Homo naledi at the Perot Museum of Nature and Science in Dallas in the United States. However old the fossils prove to be, the discovery will upend our understanding of how humans evolved, Berger said. Traditionally, evolution has been seen as a linear progression from chimpish animals that walked upright, to animals with larger brains, to modern humans. But Berger thinks human history is messier. “Homo naledi questions the uniqueness of our humanity,” he said. Casts of H. naledi skull, hand and jawbone fossils will be unveiled to the public at the Natural History Museum’s Science Uncovered night on Friday 25 September 2015, and will then go on display in our new Human Evolution gallery, opening later this year. One reason scientists are excited about H. naledi is that the fossils were found 80 metres deep within the cave system – an area that would have been in constant darkness. 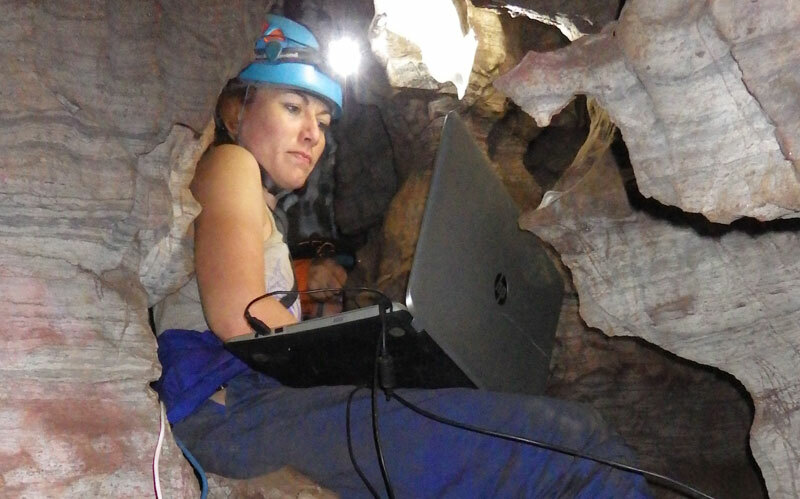 Prof Stringer, who has written a comment piece in eLife accompanying the research, says ‘the deep cave location suggests that the bones may have been deposited there by other humans’. J Brooks Spector recently sat down with paleoanthropologist Lee Berger, co-author of Field Guide to the Cradle of Human Kind, to discuss the discovery of a new species of human relative, named Homo naledi. In September this year Berger and his extensive team of scientists announced the discovery of thousands of fossil bones in the Rising Star caves of the Cradle of Human Kind World Heritage Site. The manner in which the fossils were arranged is indicative of the possibility that this pre-Neanderthal species put thought into the process of disposing of their dead – a completely new idea. “We’re going to have to open up an entirely new field of inquiry [about this]…. No matter what that level of consciousness is, until this moment, we have never had any level of strong evidence of a non-Homo Sapiens species in a ritualised way of dealing with death…. That is, doing the same thing in a repeated manner…. I do think we have the strongest evidence of this ever discovered,” Berger told Spector. The extraordinary public announcement, on Thursday, 10 September, of thousands of fossil bones from a new hominid species, Homo naledi, uncovered in one of the sites of the Cradle of Humankind has transfixed the world. J BROOKS SPECTOR takes a first look at what it may mean for an understanding of human origins – and what it may mean to be human. With The Cape Town Book, Nechama Brodie has written a deserving biography of the Mother City – telling the often forgotten stories and revealing magical hidden gems about the place where so much of South Africa’s history has taken place. This book is much more than just a tourist handbook, and anything but a history lesson. It builds a bridge between old and new, contrasting contemporary settings with their origin stories. 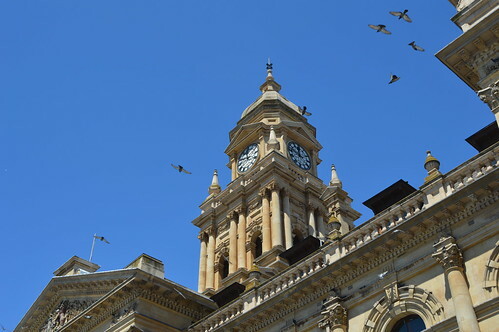 Brodie highlights the people that played a role in creating Cape Town, from the slaves and slave owners to modern-day celebrities and political figureheads, and paints a fresh picture of the city everybody loves so much. The Cape Town Book aims to be an inclusive and comprehensive document of history, focusing on the individual, unique spaces of the city. 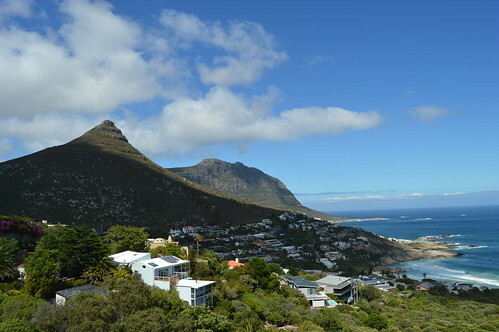 This includes the entire peninsula, from the Cape Flats and Northern Suburbs to Simon’s Town and Kommetjie. Brodie also covers topics such as “What Came Before?” and “Who Came Before?” – the first two chapters in the book – and consults experts and archival material to tell the full story. 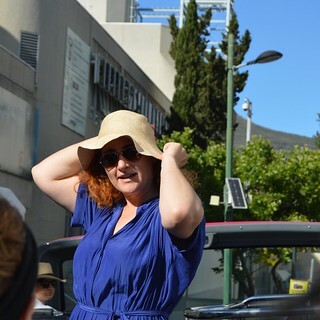 To launch her new book, the sister publication of the bestselling The Joburg Book, Brodie took a small group of avid bookworms on a special sightseeing trip on board one of the famous Cape Town City Sightseeing double-decker red buses. As we jolted through the city she shared facts about the things that could be seen from the top, sowing a thread from street to street and leaving no stone unturned. “Everywhere we go history stalks us,” Brodie said as the group gathered in the Company’s Garden to start the day’s adventure. “With The Cape Town Book I want to help you notice where and when it happens.” Armed with coffee and pastries, we learned more about the living museums and preserved relics that bear testament to the very beginning of the colonisation of the Cape. From the Company’s Garden Brodie commandeered the red bus, sending us travelling past UCT Hiddingh Campus towards parliament – where history-in-action could be witnessed as students gathered for the historic #NationalShutdown as part of the #FeesMustFall campaign – with the author acting as a bespoke tour guide. From parliament the bus drove down Spin Street, which Brodie revealed to have been the location of South Africa’s failed silk industry, towards the Castle of Good Hope and Grand Parade. After a brief pause to take in the surroundings and all that it represents, we travelled up Buitenkant Street and onto De Waal Drive where strong winds, which have shaped Cape Town in their own remarkable way, could not deter Brodie’s captivating voice-over. It’s fascinating to take into account that Table Mountain was at some point the bottom of what was once a much larger mountain, and that Robben Island used to be a hill on a coastal plain, the author mused as we looked towards the famous landmarks in the distance. People would have been able to walk across. The next stop was Kirstenbosch National Botanical Gardens, albeit briefly, before the bus hit the road again, following it to Hout Bay via Rhodes Drive and past Constantia. Travelling on Victoria Road back to the city a group of whales could be seen playing in the distance, emphasising the diversity of life in the Mother City. All along the way Brodie shared a wealth of information on the city, from the story behind the bitter almond trees planted by Van Riebeeck to logic behind the well-known Cape Dutch architecture. 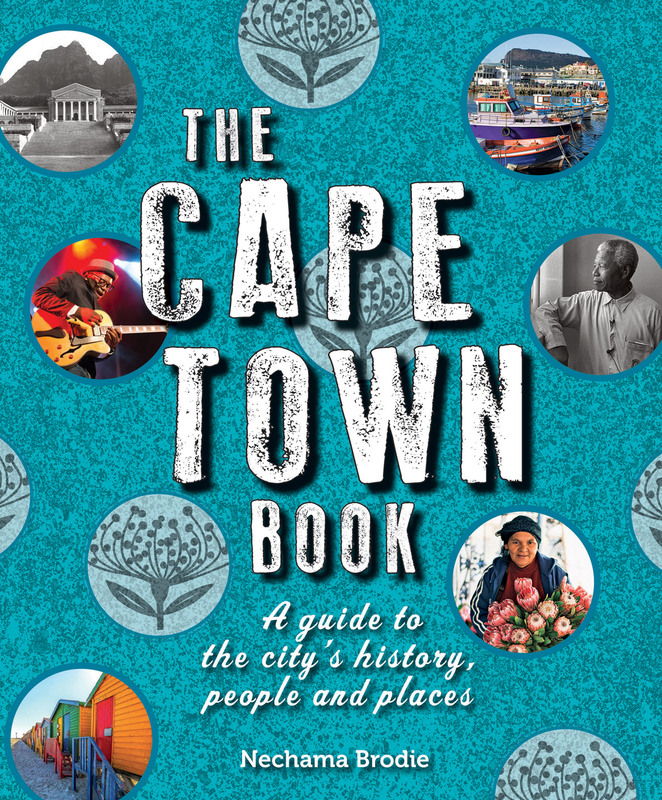 If the tour and is anything to go by, The Cape Town Book is sure to be an indispensable read for anyone interested in the true story of the Mother City. Follow Helené (@helenayp) on Twitter for more! The discovery of a new species of human relative, named Homo naledi, which made headlines around the world was the result of a two-year expedition led by Lee Berger, research professor in the Evolutionary Studies Institute at Wits University. The archaeological mission, to explore the Rising Star caves of the Cradle of Human Kind World Heritage Site, was launched in November 2013 and named “The Rising Star Expedition”. The name that would later be given to their find paid tribute to the place where it was discovered as naledi means “star” in Sesotho. At the expedition launch, Berger explained the importance of the project, how they assembled the team that would be exploring the caves and voiced his excitement at embarking on a mission that could change the way we think about the human species. “It is fair to say that no discovery has ever been made like this in southern African context, and perhaps in the continent of Africa and almost anywhere in the world in this sort of context,” Berger said back then, not wanting to reveal too much at the early stages of their discovery. 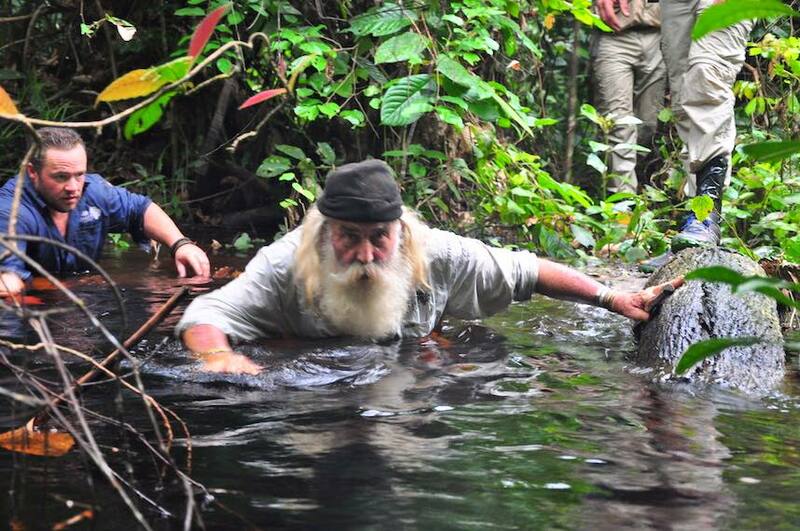 He also explained that the expedition would be dangerous, and that “nothing like this has ever been attempted”. Professor Lee Berger with members of the Rising Star Expedition.An international team of researchers will in the next few days begin excavations on a new site that may contain evidence of early human fossil remains in the Cradle of Humankind World Heritage Site (COHWHS), some 40km north of Johannesburg. Berger is the author of Field Guide to the Cradle of Human Kind, a book about the very place where the fossils were found. Intrepid explorer Kingsley Holgate, author of Africa: In the Footsteps of the Great Explorers, recently embarked on his latest mission: to touch the heart of Africa. With help from the University of Cape Town and the International Geographical Union, Holgate and his team, which includes his son Ross, pinpointed the geographical heart of the continent and set out on another epic expedition. “Four or five years ago we came across this idea that if we have been able to embrace Africa through all of our travels, where is the beating heart? It’s been a growing idea that we need to find the heart of Africa,” Holgate told Richard Holmes, who reported on this adventure on the South African Airways blog, Sawubona. Holgate and his son Ross, who is increasingly taking the reins as expedition leader, turned to the University of Cape Town and the International Geographical Union to pinpoint the geographical heart of the continent. The answer? West of the Unbanji River and southeast of the Nouabale-Ndoki National Park in northern Republic of Congo. “Once we had the definitive co-ordinates, that was the turning point. That’s when we knew the expedition was on,” explains Holgate. With the co-ordinates punched into their GPS, Land Rovers stocked and an expedition team readied, Holgate was ready to leave. In late-August he set off from the Landy Festival in Vereeniging. His destination? And then the moment of truth sets in. With 1.7 kms of dangerous swamp ahead to reach the ‘Heart’ the Ba’aka realize we have bitten off more than we can chew and begin turning back. I collapse my stinking wet,aching body into a sitting position at the base of a tree that could well be over a thousand years old, is this the end? I’m so exhausted I could just give up and die. Nazaire our interpreter is ‘Man- Down’ and is at our last base camp 3 kms back. But Ross is having none of it’ “We will not fail we’ve come this far and we will not give up” – so using sign language we persuade the Ba’aka to lead us on. Later they told Naz that it was the wild determination in our eyes that they were touched by. Ross pulls me up by the hand,father and son, and with me the finest expedition team of diehards I could ever wish to journey with gather around in support. Seven hours later,in a daze of pain, I arrive at the co- ordinates as verified by the International Geographic Union and the University of Cape Town’s Department of Geographic Sciences. The hands of the Ba’aka and the expedition team slowly screw the Beacon into the roots of an ancient tree and then with some emotion I pour out the symbolic water that had been carried from the Cradle of Humankind. On the Beacon are the colors of the Republic of Congo,the words ‘The Heart of Africa’ A tribute to Africa’s Elephants and coordinates 17.05291 E. 2.07035 N. We have made it!!! 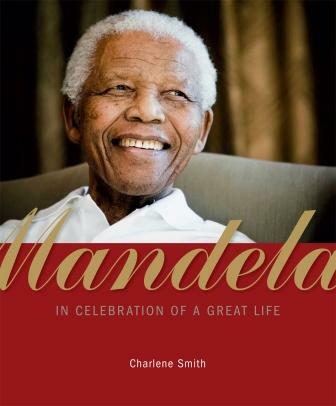 Struik Travel & Heritage would like to invite you to the launch of The Cape Town Book by Nechama Brodie. Brodie will be in conversation with Lester Kiewit on Thursday, 22 October, at 5:30 for 6 PM. The event will take place at the historical Iziko Slave Lodge, one of the oldest buildings in Cape Town. RSVP by Tuesday, 20 October, to avoid disappointment. The Cape Town Book is Brodie’s compelling account of South Africa’s first city, its landscape and its people. 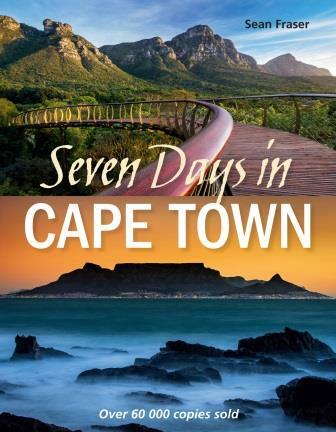 Seven Days in Cape Town – a bestselling guidebook on the Mother City – has been given a new cover and is fully revised to include the very latest information. 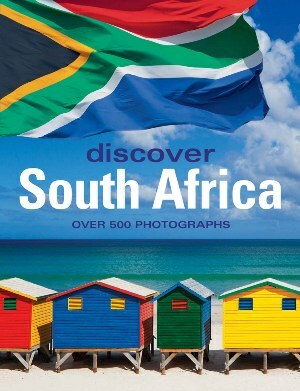 • The body of the book contains seven day-tours in and around Cape Town. Each tour is accompanied by a full-colour map covering the recommended itinerary. Following the day routes are six specialist itineraries further afield – comprising the West Coast and Namaqualand, Southern Cape Coast, Stellenbosch, Paarl, Franschhoek, and the Garden Route. More than 200 colour photographs, including aerials, accompany authoritative text that covers historical background, useful facts and engaging anecdotal information. A handy directory listing covers shopping, nightlife, cuisine and events, giving useful names, addresses, and relevant additional information. 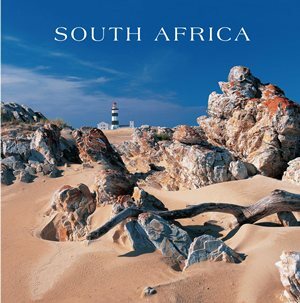 Sean Fraser is a graduate of Journalism and Media Studies from Rhodes University and the author of a number of glossy coffee-table books, as well as reference, travel and guide books on the people and places of southern Africa. His titles to date include Picturesque South Africa, published by Penguin Random House, as well as Scenic South Africa, Scenic Cape Town and the National Geographic African Adventure Atlas. Sean is also an established editor and publishing consultant. He is married with two sons and works from his home in Cape Town.